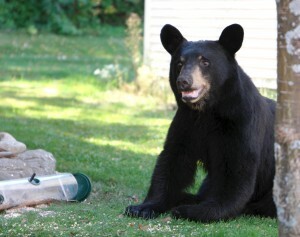 This is a story about a common Minnesota American Black Bear and a person originally from Indiana, me, who used to believe if you got this close to a Black Bear you were a goner. Since I did get very close and I’m still here, my beliefs must have been incorrect. Mid September, 2015 I was dutifully taking out the compost to the base of the hill behind our home as I do on occasion. The occasion being when my wife, Betsy, tells me it’s time. She determined that 5:15 PM was about right this evening. Looking up the hill at the back, I saw a Black Bear eating green plants on the hill side not the least concerned about my approach or with my being within 30 feet. The bear just kept slowly moving forward and eating not even looking up. As I walked to the back, not knowing he was there, I wasn’t trying to be quite upon approach and was surprised when I saw him. He (I’ll explain later why I believe it to be a male.) on the other hand couldn’t have cared less about my presence. I took out my ubiquitous smart phone and started taking video. The video at the bottom of this page starts with a short segment of this cell phone video. The video below is a 9:00 minute video condensed from about 1.5 hours of video shot on this first and then a second encounter two days later. A few days later he returned late at night, in the dark, and knocked over one of my neighbors bee hives. That caused an even louder crash. When I rushed outside to see what could have made such a commotion he was gone. Even though he continued to come into the yard late at night, he didn’t touch the other bee hive. He continued to come into the yard well into November even after frosts and freezes that I thought would indicate time for hibernation. I’ve been told that male bears may not den up until early December long after the females are in their dens. For that reason I’ve called this young polite beautiful Black Bear a he. Another thing I learned, the hard way, was that Black Bears WILL feed on thistle in thistle feeders. I thought taking in all the other feeders would be sufficient, but not so. We have bear teeth prints in what was a new mesh thistle feeder. And, the bear polished off about 2 lbs. of thistle. From now on ALL bird feeders will be put up early Fall on Boundary St. in Ely. Dr. Lee Frelich took time out of his busy schedule to come to Ely July 21, 2015. He gave two talks, on on Climate Change and Invasive species at the Ely Tuesday group and one at VCC that evening on the effects of Sulfide Mining on the Boundary Waters, sponsored by the Campaign to Save the Boundary Waters. Spokes person for the Campaign, Becky Rom gave the introduction for both talks and added current economic data and impacts of Sulfide mining after Lee’s evening talk. The two videos that follow are from those events and are a must see for all who have any questions or concerns about Sulfide Mining in our region. Dr. Frelich taught us about the delicate balance of the forest and lakes in our region and noted that the Boundary Waters is a world known and highly valued scientific baseline as research tool that benefits this region and the world. It is rare that we get to hear about research this valuable presented in such a way that we can all understand and that belies the years and years of research it took to get to these conclusions. And warnings, if we are smart enough to pay attention to these facts. These videos of Dr. Frelich’s presentations have only been edited to eliminate the silence when someone in the audience was asking a question and the microphone didn’t pick that up. However, Dr. Frelich re-phrased each question which you can hear and then answered all of our questions. Both events were inspiring and I’ve already had over a dozen requests for DVD’s of the presentation. That I’ll be working on soon. Each video is about 55 minutes long, although YouTube shows the length as much longer. After 55 minutes the videos wil appropriately go to black and continue there for a LONG time. That is due to some error I made in editing and processing that I have not figured out, yet, how to correct. But, I will and in the meantime, these videos are just too important not to see. Enjoy! And, take notes if you like and ask questions if you have any. I’m sure we will be able to get an answer from Dr. Frelich or Becky Rom or someone from the University of the Campaign to Save the Boundary Waters. One finally comment, before you get to these excellent presentations. Although these talks and discussions were primarily base on the Boundary Waters Canoe Area Wilderness, it is self evident that this research will apply appropriately and forcefully for the defending of all our valued forests and waterways to the North Shore of Lake Superior, down the St. Louis River and to every fragmented marsh, bog, stream, river or lake in this amazing Arrowhead Region of Northeastern Minnesota. Although the Campaign to Save the Boundary Waters is a necessary and excellent campaign that I believe will be successful. My personal interest is in seeing NO SULFIDE MINING in Northeastern Minnesota and the Arrowhead Region. We need to protect the Superior National Forest, Lake Superior, the St. Louis River, the Cloquet Valley State Forest, the Duluth Harbor and Bay. We can only do that by saying NO to Polymet and NO to Sulfide Mining in our region. These talks apply to these other areas also. 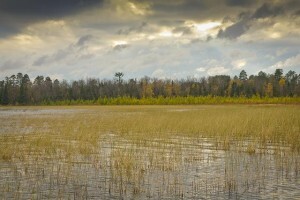 What good will it do to be the Land of 10,000 polluted lakes with no wild rice or potable water? Well, I suppose, if the water is no good, maybe California, Texas, New Mexico, Arizona, Oklahoma, Kansas, and Nevada, all running out of water, won’t want MN polluted water? Research by and written by Carla Arneson. Carla is on of our northland neighbors who cares enough to thoroughly research and carefully analyze what she discovers. She also cares enough to share it so that we can all benefit from knowledge rather than belief. It is nice to believe in a beneficient industry that does no harm and only brings good to local communities. However, follow this local’s research and findings and the truth just might set you free. Or, for those so locked into false beliefs they will not listen to science and fact, this may just make them hardened against anything but their own beliefs. That seems to be an extremely common occurrence in business and politics these days. Thank you Carla for this fine bit of reporting. The Duluth News Tribune (DNT) letter to the editor, Jan. 23, “Solutions promote jobs, ‘never’ produces wasteland,” compared the Bingham Canyon Mine in semi-arid Utah to PolyMet in water-intensive Minnesota. The writer, Bill Campbell, stated that PolyMet was a “solutions-driven company,” likening it to Rio Tinto/Kennecott, claiming Kennecott Utah Copper had “offered” to use reverse osmosis as a “solution” to the massive contamination at its Bingham Canyon Mine. He went on, “The result was marketable potable water, which was sold to downstream communities.” He neglected to mention that the affected residents of Salt Lake Valley, whose water was contaminated and undrinkable, were the very same communities the treated water was being sold to. The mining company polluted their water, and then the people got to buy it back. What a deal. Not only did Campbell choose Bingham Canyon to champion PolyMet and its proposed reverse osmosis, he also ridiculed use of “never, not ever, not anywhere” when defining metallic sulfide mines and water pollution. Ironically, Bingham Canyon is without doubt one of the world’s worst water-polluting copper mines. The DNT also published a ‘companion’ letter, Jan. 23, “Reader’s view: Northland hunters support mining projects,” by Gerald Tyler. Neither Campbell nor Tyler, both from Ely, gave any examples of sulfide mines that had not polluted a water rich environment such as ours, not even the oft-misused Flambeau Mine. Flambeau was no NorthMet. Flambeau mined 1,000 tons of ore per day. (Wisconsin DNR) PolyMet would mine 32,000 tons of ore per day (eventually 90,000-100,000 tons per day) at 99% waste. Flambeau’s pit was only 32 acres, ore so localized it was shipped to Canada and processed there, no tailings basin at the mine site; and still Flambeau polluted groundwater and Stream C, now listed as an impaired water. Stream C flows into the Flambeau River. Campbell and Tyler were both responding to the DNT commentary, Jan. 10, “Sportsman’s view: Sportsmen not buying PolyMet’s sulfide mining whitewashing,” by David Lien. Lien had questioned a PolyMet board member’s whitewashing of PolyMet’s NorthMet Project; his failure to mention acid-mine drainage, a West pit that would eventually overflow, no upfront “escape-proof” financial assurance, the incompleteness of PolyMet’s SDEIS, and the water-polluting track record of sulfide mining. For the record, I tried to respond to Campbell’s letter by pointing out the fallacies in his Bingham Canyon analogy; however, the DNT declined to address what Campbell referred to as “solutions” at Bingham Canyon, or what Tyler considered the “inane consequences” of extracting copper from sulfide ores in Minnesota’s lake country. It took the threat of being placed on the EPA National Priority List as a Superfund site and a lawsuit by the state of Utah to get Rio Tinto/Kennecott to remediate the vast contamination at Bingham Canyon. Jon Cherry, now President, CEO, and Director of PolyMet, was project engineer/manager for Kennecott Utah Copper’s subsequent mine remediation. Kennecott was essentially forced to build a water treatment plant. It was not “offered,” and it was no “solution.” It was a way to cope. The operative word is “contain.” Affected Salt Lake Valley residents will likely never be able to drink their water without treating it for sulfates, metals, and other contaminants. Is that what we want for the waters of northeastern Minnesota? PolyMet is telling us we must accept its pollution with no end date in sight, and PolyMet will do us the favor of treating it. Sound familiar? By definition Bingham Canyon Mine is a wasteland, by a Google Earth measurement encompassing more than 12 square miles; add another 14 square miles of tailings impoundment. Add a 72 square mile contamination plume. The damage caused is hardly comparable to “a road built, an automobile manufactured, a book published, a farm operated or a dam constructed,” as Campbell claimed in his DNT letter. And any “whitewashing” of sulfide mining by any PolyMet board member should always be questioned. Whitewashing took on a whole new meaning at Bingham Canyon. At Bingham Canyon the deadly potential for a tailings basin failure (seismic) was concealed from the public, a conspiracy of silence and secrecy from 1988 until 2008 when an investigative reporter exposed the cover-up. Beginning with Kennecott and continuing with Rio Tinto/Kennecott Utah Copper, including throughout the 12 years Cherry, a licensed professional engineer, was reportedly employed at Bingham Canyon. How much Cherry was aware of is unknown. In a 1997 memo, Ray D. Gardner, Kennecott’s chief legal officer wrote: “Although the record in this matter is not as egregious, it nevertheless is analogous to the Pinto cases [Ford Motor Company’s cover-up], and should be duly considered and addressed by Kennecott’s existent management.” There was still no public announcement. Not until 2008, when the Salt Lake Tribune broke the story. Yet Campbell compared Bingham Canyon to a “solutions-driven” PolyMet, implying it is the reason we must believe whatever we are told about PolyMet. Groundwater in Minnesota is a protected public resource; it is not the property of any mining company. These are our waters, not PolyMet’s, not Glencore’s. Minnesota Statute does not allow degradation of groundwater. By law, the highest priority use of groundwater is for potable (drinkable) water. The groundwater aquifer beneath the LTV tailings basin is already contaminated. (Barr) No one knows just how badly. The contamination plume reaches private wells. By law, the state should be determining the extent of the damage and cleaning up the site, not promoting the addition of new pollution from PolyMet’s NorthMet Project. “Minnesota Administrative Rules 7060.0100 PURPOSE. 7060.0400 USES OF UNDERGROUND WATERS. In 2010, the Minnesota Pollution Control Agency (MPCA) had the opportunity to restore groundwater at the LTV/PolyMet plant site. The Center for Biological Diversity, Save Lake Superior Association, and the Indigenous Environmental Network had filed “an intent to sue” against Cliffs Erie (Cliffs Natural Resources) for hundreds of water quality violations at its LTV and Dunka sites, equating to millions of dollars in fines. Biological Diversity’s “intent to sue” listed 309 violations of the permit limits (five years of violations). Multiplying just the 309 violations by the maximum fine allowed, $37,500 per violation per day, the total maximum penalty – had Cliffs been subjected to fines – would be approximately $12 million. If the calculations also included additional amounts for many of those violations that were monthly, thus multiplied by 30, the total maximum penalty would be off the charts. For example, one violation at $37,500 per day for 30 days would be an additional maximum penalty of $1,125,000 added to the $12 million total. Instead, the MPCA intervened and wrote a consent decree for $58,000; Cliffs made some modifications, a study was done resulting in recommendations, Cliffs asked for a variance, and the MPCA complied. No further plan or action exists except (at Dunka) monitoring the continuing illegal pollution discharging into Unnamed Creek and other creeks that flow into the Kawishiwi River, a drinking water source by state rule. The lawsuit would have gone a long way toward “abating existing pollution.” Now the state’s answer is to cover up existing pollution with PolyMet’s “new pollution.” Public groundwater? Ignored in favor of PolyMet. Regulatory capture. Mining engineers at Bingham Canyon are fond of saying they have to deal with “legacy” contamination. All mining contamination is legacy contamination at some point in time. Hindsight. Minnesota would be no exception. The proposed PolyMet Project will pollute (DEIS/SDEIS), pollutants seeping and flowing into our waters. A leaking, unlined tailings basin. Waste rock piles leaching acid and metals. Lined disposal for hydrometallurgical reactive residue, until the liners fail and seepage infiltrates our groundwater. Discharges will exceed legal limits or be significantly elevated for metals and sulfate. Faults, fractures, and exploratory boreholes are contamination conduits to our aquifers. At the end of operations we will be left with a mine pit full of toxic water that will eventually overflow. Reverse osmosis would be the direct result of PolyMet’s pollution production. We are agreeing to let PolyMet pollute our waters. There is no guarantee of anything else. The wastewater treatment facility at the mine site would not begin using reverse osmosis until closure, maybe. Water at the plant site would not be treated but continually recycled (closed loop) until it is so contaminated it cannot be used. Then what? Another Minntac? If reverse osmosis works on such a scale, why is the taconite industry not using it? There are no plans in PolyMet’s SDEIS for what to do when reverse osmosis fails, or costs too much. Mesabi Nugget has already used the “it costs too much” ploy to get its variance, its license to pollute. Once a permit is issued, no other sulfide mine would be refused. Industry strategy is to get PolyMet permitted and then expand, which includes operating the existing LTV/PolyMet plant at full capacity. Teck Cominco is adjacent to PolyMet. In 2003, northeastern Minnesota legislators were pushing for $265 million in federal funds to set Teck up at the LTV plant. Then PolyMet got it for the price of scrap. Now Twin Metals (Antofagasta) has its eye on the LTV plant for processing. When all Duluth Complex deposits are merged, Minnesota will have our very own contaminating ‘Bingham Canyon’ pit; and the obliteration of thousands of acres of high quality wetlands, streams, lakes and forests in both the Lake Superior and Rainy River Watersheds. Underground mine or open pit makes little difference when it comes to aquifer contamination, especially when proposed sulfide mines would be twice as deep as taconite mines. On the Spruce Road, near the Kawishiwi River, the metals resource in the first 1,000 feet is equal to that below 1,000 feet – at the INCO site proposed for an open pit mine in the 1970’s – and a quarter mile from the Boundary Waters Canoe Area Wilderness. Does anyone seriously think Twin Metals will leave half its mineral resource behind? Who operates, maintains, and pays for water treatment for unending centuries? What good will treatment do when there is the inevitable flood or storm event and a treatment plant cannot handle the load; when a plant shuts down due to loss of power, or due to filters plugging, or shuts down in winter, or shuts down due to bankruptcy as Cliffs Natural Resources recently declared in Canada? (And LTV did with Dunka). What happens if Cliffs goes bankrupt in Minnesota? Who is responsible for contamination at the LTV plant, Dunka, Northshore, and Milepost 7? What happens when a corporation goes to court to avoid paying its clean-up costs, as BP did last year over the Gulf oil spill? Upheld, or not? And what happens when there is a catastrophic dam failure such as Mount Polley (instability of glacial till), when no amount of ‘cleaning up’ will ever fix it? Hibtac already had a 1,000-foot crack in its tailings dam; Milepost 7 is an accident waiting to happen, 600 vertical feet above Lake Superior, a 1,000-foot break in its dam would result in a 28-foot high wall of water and mining slimes moving down the Beaver River Valley at more than 20 miles per hour to Lake Superior. (EQC) And PolyMet? Its tailings basin is already so unstable it would have to be reinforced. (DEIS) How long would that last? Using the word, “never,” did not produce a wasteland; Kennecott produced one. Bingham Canyon’s water treatment plant was not a solution that promoted “jobs, communities, schools and families” – it was a mechanism that kept families from drinking poisoned water. PolyMet is a pollution-driven mine. We know in advance that PolyMet would pollute our waters. Water treatment would be for “perpetuity,” the original wording in its Preliminary Supplemental Draft Environmental Impact Statement before redaction. Those who say it was changed to “hundreds” of years can remember there is no end date, and that is the definition of perpetual. Residents of Salt Lake Valley had no choice; their water was undrinkable. We do have a choice. Not to choose perpetual pollution in the first place. This article from CNET shows the future of Mining in Minneosta. No we don’t need workers in Minnesota. We need game playing Nerds in far off countries digging up, moving, dumping and polluting Minnesota hundreds of times faster than at present. This appears to be a surprise to the author of this article. He apparently doesn’t know that this technology is currently being used and scaled up for use anywhere in the world. Can you say REMOTE MINING MINNSOTA??? An Oculus Rift VR headset and a 4G network in Spain let CNET’s Roger Cheng control earth-moving heavy equipment in Sweden. CNET Editor Roger Cheng controlling an excavator in Sweden — while at a conference in Barcelona.Sarah Tew/CNETBARCELONA — Thanks to Ericsson, I can check off operating heavy machinery from my bucket list.No, the telecommunications equipment manufacturer didn’t have a massive excavator in its booth at theMobile World Congress trade show here. But it had the next best thing: an Oculus Rift virtual reality headset and an operator seat with heavy machinery controls. I put on the helmet, and I was instantly transported 2,500 kilometers, or 1,550 miles, away into the cab of an excavator sitting on a mound of dirt in Eskilstuna, Sweden. This was no simulation. Ericsson hooked up the seat and Oculus headset to a real Volvo excavator in Sweden, using a 4G wireless network for a real-time video connection. When I nudged the right control stick forward, the giant arm lifted up. It was a little freaky — and I loved it. The excavator setup was one of the whiz-bang demonstrations Ericsson had in its traditionally massive booth, serving as an illustration of the power of cellular networks and its vision for a more connected world. It’s also a reminder that wireless networks can do more than just power our smartphones. Ericsson came up with the idea in early 2011 after the disaster at the Fukushima Daiichi nuclear power plant in Japan. After watching volunteers risk their lives by operating heavy machinery inside the radiation zone, researchers started thinking about how to remotely control the equipment, according to Cristian Norlin, master researcher for the company. Ericsson worked with Volvo to create a fully remote-controlled excavator.Sarah Tew/CNET”There’s got to be a better way,” he said. Ericsson talked to fellow Swedish company Volvo, which was interested in the idea. The vehicle maker was dealing with a problem of its own: the lack of young workers willing to travel around the world to operate heavy machinery at a far-flung construction site. 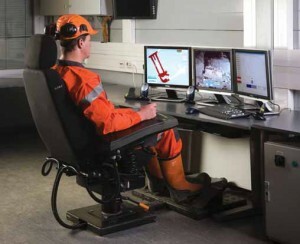 Volvo liked the idea of remotely controlling the equipment, and began working with Ericsson. The company started with a toy excavator a year ago, but this year brought in two real excavators — one in Sweden and the other outside the halls of Mobile World Congress. On the virtual reality side, Oculus Rift has been prominent among a new wave of devices designed to provide users with a fully immersive experience — pop on a VR headset, and the simulated 3D panorama could put you on a tropical beach even as snow falls outside your window, or insert you into the shoot-em-up action of a video game. As a startup, Oculus began its VR efforts several years ago, and, now owned by Facebook, it has been working with Samsung on a Gear VR device that the companies plan to have out to consumers by the end of 2015. In the last year or so, the field has expanded greatly, drawing in technology giants including Sony andMicrosoft as well as HTC and game makers such as Valve. Virtual reality was the big theme at this week’s Game Developers Conference in San Francisco, an ocean and a continent away from where I was sitting. The question remains, though, about whether virtual reality can blossom into a mainstream technology for everyday uses, or will burrow into niches here and there — such as industrial applications. My time in the operator seat was spent on the Eskilstuna excavator, a 6-ton Volvo EC55 concept model. With the Oculus Rift device strapped on, I swiveled my head around and looked up and down, surveying the dirt mound and empty plot of land around me. Ahead of me was the big digger bucket. The engine noise rumbled into my ears through surround-sound stereo headsets. Volvo’s standard-issue EC55C excavator in action. The concept version had to be outfitted with remote controls.VolvoThe operator seat featured dual control sticks — one for each hand — and foot pedals. Given my ignorance of heavy machinery, Norlin acted as my guide, directing my hands to correctly control the excavator arm and to swivel the cab and arm. With a subtle move of my left hand, I turned the cab a few degrees to the right. With my right hand, I lowered the excavator arm and scooped up some dirt. I raised the arm, turned back to the original position and let fall the dirt. The experience was brief, but it left a strong impression. I couldn’t stop thinking about the fact that everything that I was controlling was actually happening halfway across Europe. I asked whether I could have really done some damage, and Norlin assured me that the excavator was placed in an area far away from other people or buildings. So I then asked about the foot pedals and actually taking the vehicle for a spin. Norlin politely declined my request — something or other about liability. The video feed was admittedly a little on the blurry side, occasionally struggling to catch up as I moved my head around. It was a real-time video stream that captured everything around me. There was also a slight lag between when I tapped the controls, and when the excavator responded. Norlin said that the video feed and remote controls were pushing the network equipment to the limit, and that a fully polished version of this setup probably wouldn’t work until cellular networks move to the next generation of wireless technology, known as 5G, which will bring even higher speeds when it arrives as soon as 2020. “We’re understanding what we can do with 5G,” he said. As I stepped out of the operator seat, I couldn’t help but wonder about everything else we’ll be able to do with 5G. That, and the briefest consideration of a second career as a heavy machine operator. Roger Cheng is the executive editor in charge of breaking news for CNET News. Prior to this, he was on the telecommunications beat and wrote for Dow Jones Newswires and The Wall Street Journal for nearly a decade. He’s a devoted Trojan alum and Los Angeles Lakers fan. On the south side of the road not far from Outward Bound’s Home place is a barren hilltop where nothing grows expect a short 10-12″ course uniform dusty gray plant and a few, very few, Jack Pine. This is the flat top remaining from a large exploratory hill top removal, in search of marketable minerals, by Inco in the 1960’s. What they found, in the way of mineralization, was of insufficient quality to justify mining at that time. What they left was a flat hilltop where nothing grows and the runoff is a bright orange as seen toward the end of the video. This video shows you where the hilltop is located in Google Earth. 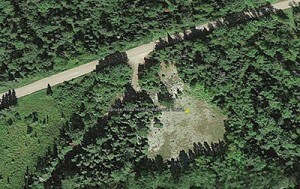 To visit this site, go south of Ely on Hwy 1. Turn left onto Spruce Rd. just beyond the Kawishiwi bridge. Go a short distance beyond the entrance to Outward Bound and watch for a parking area on your right in front of a short rise to this hill top. Or set your GPS to Latitude 47.832424° and Longitude -91.678229° You could also enter these coordinates into Google Earth and zoom into the image above left. The Minnesota Pollution Control Agency (MPCA) announcement came just two weeks before public comments were due for PolyMet’s Supplemental Draft Environmental Impact Statement. PolyMet’s proposed NorthMet Mine is the first in a long line of sulfide mining projects aimed at turning Minnesota’s Superior National Forest, the lake country of the Arrowhead, into a sulfide-mining district — a district that would impact both the Lake Superior and Rainy River watersheds, arguably in perpetuity. In 2010, when the MPCA finally decided to start enforcing the sulfate standard, the howls of protest from Iron Range legislators, sulfide mining lobbyists, and the Minnesota Chamber of Commerce could be heard echoing throughout the state Capitol. The Chamber of Commerce sued and lost. Unfortunately Gov. Mark Dayton and the Legislature initiated an unnecessary $1.5 million (taxpayer funded) wild-rice study; and now when the study did indeed indicate the current sulfate standard is reasonable and defensible, Dayton and MPCA Commissioner John Stine are again running for cover. Whatever happened to backing up your scientists instead of caving to political and corporate interests? Whatever happened to putting the health of the public front and center? The people of northeastern Minnesota have been corporate victims for far too long. And saying so is not denigrating the Iron Range heritage, much as certain Range politicians ratchet up inflammatory rhetoric. What’s preventing a hard look at the industry? It is long past time to take a hard look at the mining industry in Minnesota, an industry that still does not meet state water- and/or air-quality standards at any of its currently operating taconite mines. Why not? Take your pick: lack of enforcement by agency heads; political blackmail by entrenched Iron Range legislators under the guise of jobs; familiar threats by mining corporations to close their doors and leave; or the machinations by the Chamber of Commerce, paying for its own crazed wild-rice report stating that sulfate standards are unnecessary or could be set at 1600 mg/L., with PolyMet Mining, US Steel Corp., Xcel Energy, and the Koch Brothers (Koch Companies Public Sector, LLC.) represented on its board of directors. Minnesotans continue to be told we should welcome foreign mining corporations with reprehensible records who will magically be able to do a perfect job with sulfide mining, an even more toxic mining process for our waters than taconite. We are told to believe that the decisionmakers at state agencies will suddenly start demanding adherence, insist on writing and enforcing strong water quality standards, never bowing to political pressure. We might as well believe in Santa Claus and the Tooth Fairy. Remember the mesothelioma-study cover-up? In 2007 Sen. John Marty wrote, “MN Health Department Cover-up – Mistake or Malfeasance?” about MDH’s withholding of information on mining deaths — information that was critical to Minnesota taconite miners’ health. Again, as in 2007, no one involved in responding to the wild-rice study is thinking foremost about the health of the people, in this case especially the health of our children. Whoa, someone will say. This is about wild rice, not about people. Really? Those same sulfates that ultimately lead to damage of wild rice also ultimately lead to damage of our children through conversion of inorganic mercury to methyl mercury. [“Methyl mercury is particularly damaging to developing embryos, which are five to ten times more sensitive than adults.” (USGS)] In 2011, the MDH released its study, “Mercury in Newborns in the Lake Superior Basin.” In Minnesota, 10 percent of tested newborns were above “safe” levels for methyl mercury. It is not just the fish we eat that we need to be concerned about either. Studies in California have shown that wild-rice plants apparently have the capability to uptake methyl mercury to the seeds. Yet the Minnesota Chamber of Commerce was adamant that methyl mercury could not be discussed during the wild-rice/sulfate standard study. To past and present Chamber of Commerce executives, attorneys, and board members; corporate lobbyists; power and mining industry executives; Iron Range legislators; Minnesota governors; Minnesota Department of Natural Resources commissioners, Land and Minerals Division directors; MDH commissioners; and the MPCA commissioners and directors who initiated the use of variances and consent decrees, who just a year ago abruptly walked away from a million dollar four-year project (TMDL) designed to identify sources of mercury pollution in the St. Louis River: Ask yourselves how many people have died or been physically or neurologically damaged by your actions or inaction. How many have died from mesothelioma or from other mining-related health issues, deaths that may have been prevented? How many lives have been shortened? How many children have been brain damaged? It is time we talk about accountability and responsibility. How many children have been neurologically damaged by toxic levels of manganese from the LTV/PolyMet site; or damaged by nickel (Dunka Mine), a carcinogen and a mutagen? What about autism; now linked to mercury, manganese, and nickel in air pollution? (2013 Harvard University Study). How many newborns have lost IQ points proportional to the amount of mercury above “safe” levels in their blood? How does this affect their success in school? When these children reach adulthood how many jobs are denied them as a result? What is the cost for the loss of possibilities in a life? What is the cost of a life? This is Minnesota’s watershed moment, literally and figuratively. For the St. Louis River Watershed and Lake Superior, for the Rainy River Watershed and the Boundary Waters Canoe Area Wilderness, for the Mississippi River Watershed, and for ourselves. Will we protect our water, and in so doing protect our health? Protect our children? Will we speak? Or will we be silent? Silence is complicity. The 2014 Sigurd Olson Lecture Series is the 15th year these lectures have been given. 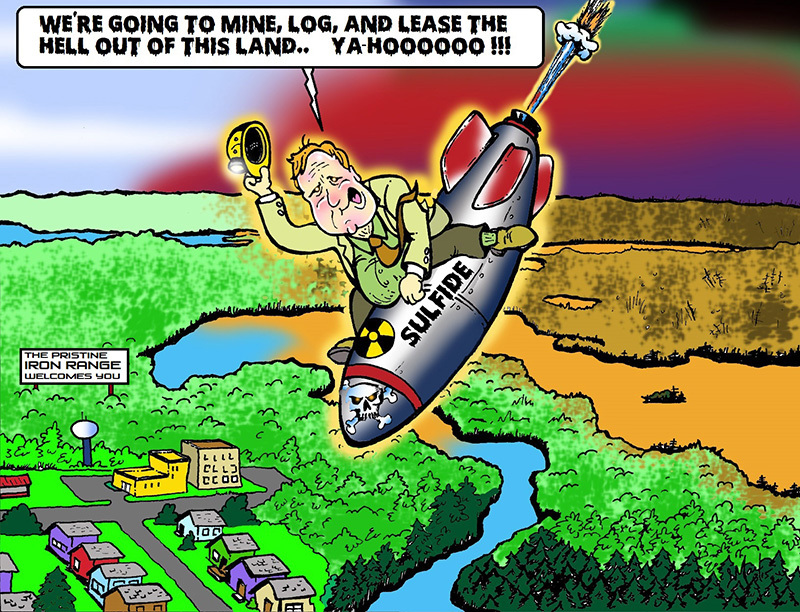 This year Mike Clark of the Greater Yellowstone Coalition stated that he is unaware of anyplace where sulfide mining has occurred that there was not significant pollution as a result. He described how his coalition stopped mining in Yellowstone National Park. A difficult task when confronted with the amount of gold and copper in the ground and the mining companies deep pockets and political influence. All of which sounds quite familiar to anyone involved with Sulfide Mining efforts in Minnesota.